Owner/Manager Carl Jensen has been in the performance business for over 25 years, both in New Zealand and America. 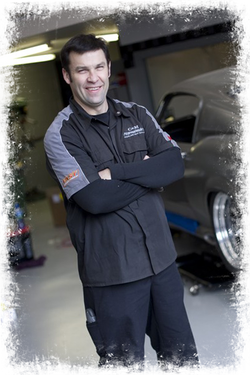 Carl’s background in auto electrical, combined with his passion for drag racing, has seen him work for some of the most well respected businesses in the American automotive world. His accumulated knowledge means he knows how to get the best result for his customers, no matter their vehicle’s age, make, model or engine. Having been in business since 1991, the team at C&M Performance has grown and includes four technicians, with over 40 years experience between them. The business moved to its current premises in East Tamaki, Auckland – just 15 minutes from Auckland’s CBD – in 2009. The purpose-built facility houses a fully soundproofed, temperature-controlled dyno bay, a specialist fabrication area, high-tech security and plenty of off-street parking for customers. C&M Performance guarantee, install and tune anything they sell. Committed to offering the very best in products, quality and professionalism, they take great pride in the services they provide.